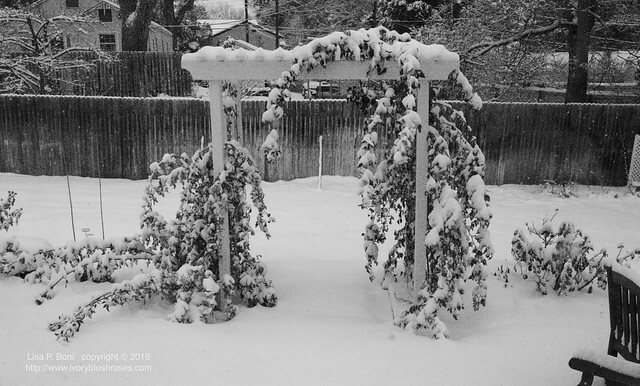 Another round of snow yesterday left the arbor looking lovely. I can't believe that the roses are still holding onto their leaves, but I'm hopeful that once spring arrives in a few months they'll be replaced with fresh green ones! The snow birds have been visiting the feeders in large numbers! 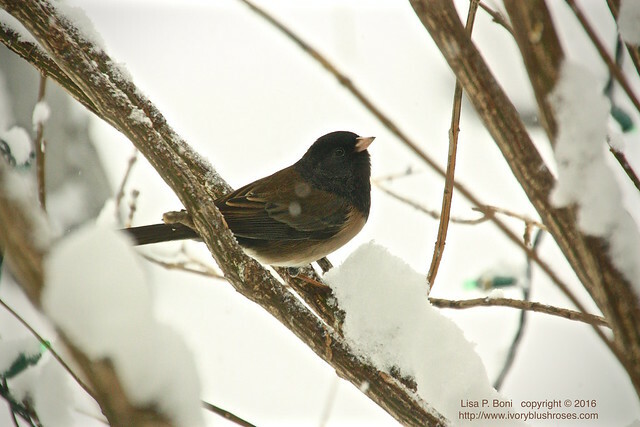 Always love hearing their twittering in the depth of winter! When it's cold and snowy out, my one morning cup of tea grows to 2 or 3! So cozy on a chilly day! With Epiphany past, it's time to put the Christmas decorations away. 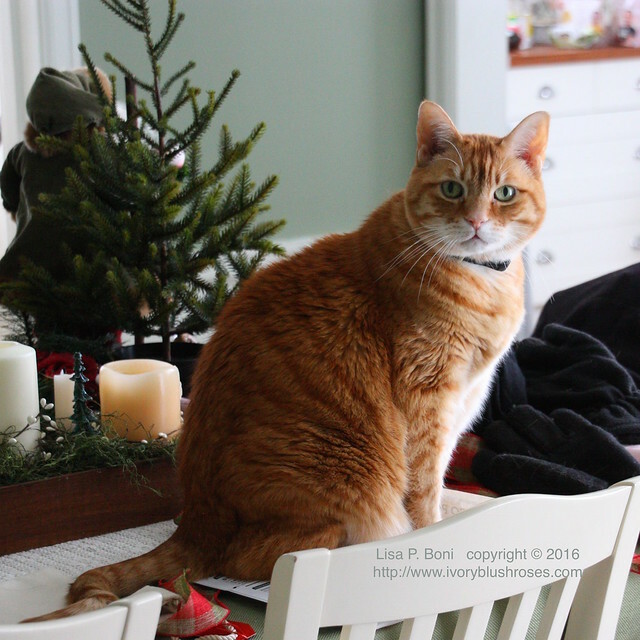 Thomas has taken up Mollie's spot on the table while I gather things. Soon, the house will be fresh and clean, feeling open and spacious with the decorations all put away for the year. Then it's time for some creativity! Lots of stitching taking place and a little painting! I'll have things to share soon! What a lovely winter shot. Love the look on your sweet feline's face. 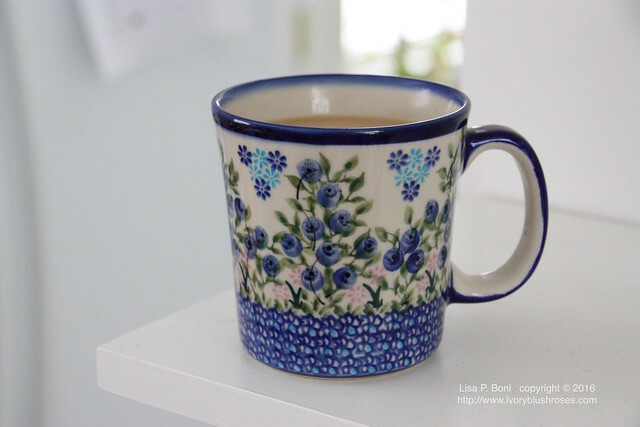 Love your beautiful mug too. Wow! We were greeted with a similar snow scene this morning. DH was not a happy camper as he shoveled about 15" of snow from around our car...one of the drawbacks to living in an apartment and not having a garage!